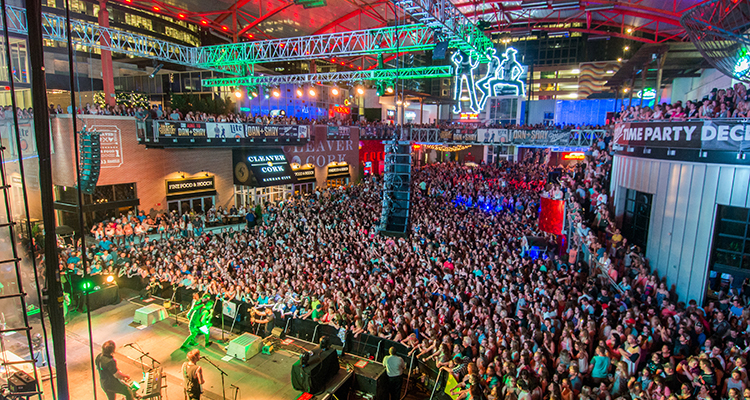 From its revitalized convention district to the burgeoning arts scene, KC is one city “definitely deserving of buzz” (MSNBC). 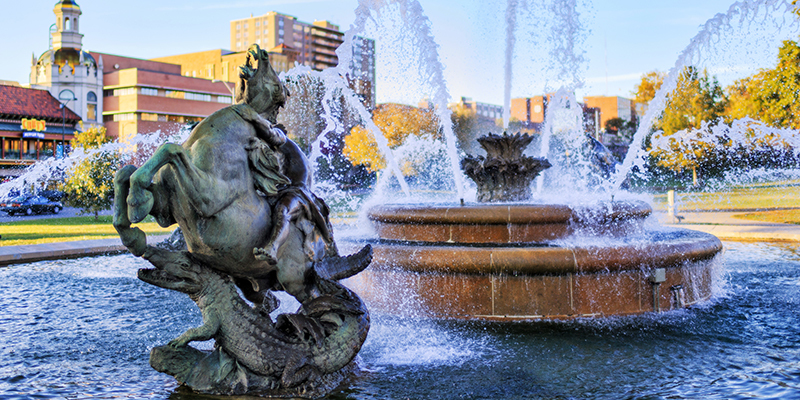 Here are 10 reasons why the City of Fountains is an inspired choice for your next meeting. The Kansas City area offers first-rate exhibit and meeting facilities of all sizes. Encompassing more than 800,000 square feet, the Kansas City Convention & Entertainment Facilities can serve all your meeting needs under one roof. The Kansas City Convention Center houses 388,800 square feet of contiguous, column-free exhibit space in Bartle Hall. 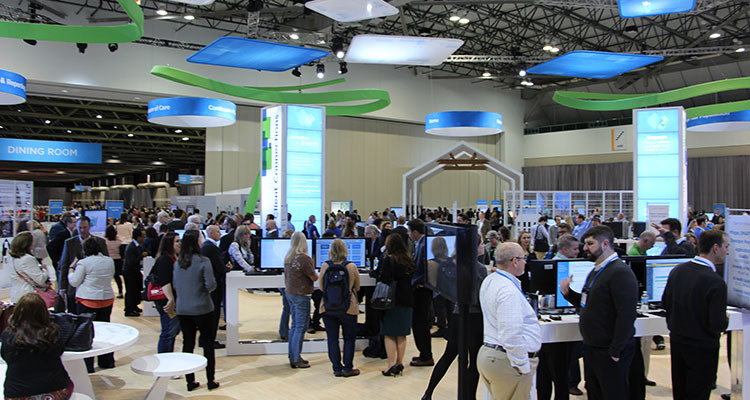 As part of a $150 million improvement project, the center's meeting space was renovated, and Kansas City welcomed one of the largest green ballrooms in the nation. Excellent hotel facilities are available at reasonable rates. The metropolitan area offers more than 32,000 guest rooms, with nearly 3,500 hotel rooms within blocks of the Convention Center. Major national hotel brands are represented, including InterContinental, Hilton, Marriott, Sheraton and Westin. New convention hotel opening in 2020 with 800 rooms and 75,000 square-feet of meeting space across from the Convention Center Grand Ballroom. 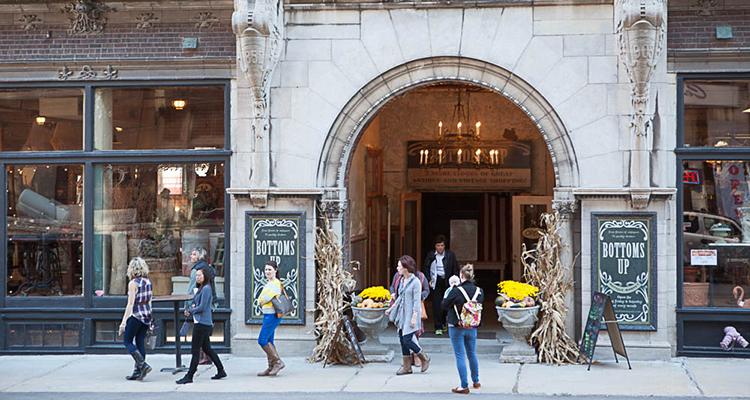 Kansas City’s location has been an asset to meeting planners for years. But it’s also a huge advantage for the attendees. In fact, more than 55 million Americans can get to Kansas City in less than a day’s drive. 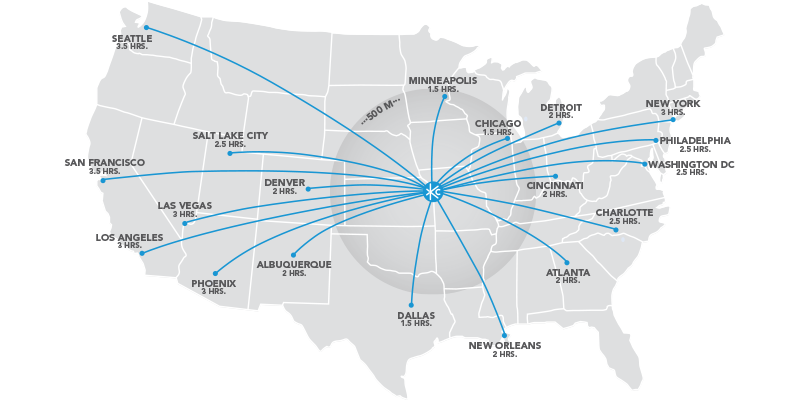 And flying here is even easier—as Kansas City International Airport is just a three-hour flight away from each coast. All major U.S. air carriers serve KCI, which offers more than 400 daily flights with nonstop service to 48 destinations. 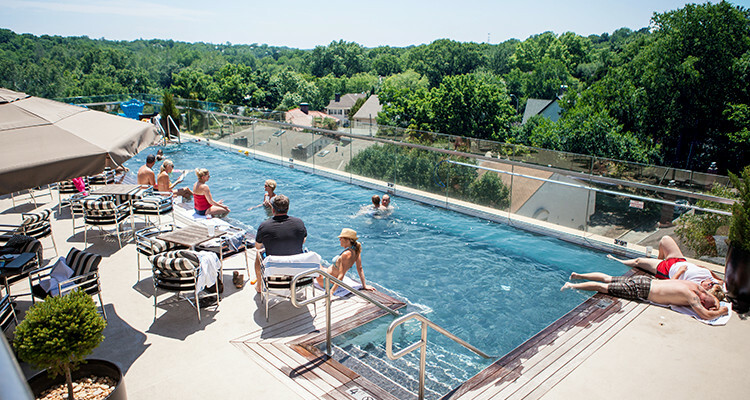 Kansas City is easy on the bottom line, thanks to reasonable rates for lodging, airfare, food and services. Since Kansas City International Airport is not a hub for any single airline, competition among carriers keeps airfares down. When you compare hotel costs, food costs and other services, Kansas City stacks up well against its competition. After taking care of business at the Convention Center, your peers will find plenty to do just steps from their meeting. At the heart of it is the Power & Light District, an eight-block entertainment hub chockfull of shops, restaurants and nightlife. You can also spend an evening listening to Kansas City's phenomenal jazz and blues music at clubs throughout the city. Or, try your luck at one of five dazzling casinos. Kansas City has invested billions of dollars to create major new attractions and facilities. The $6.5 billion downtown transformation includes the free KC Streetcar, connecting Kansas City's urban core, the eight-block Power & Light entertainment district and Sprint Center, both near the Convention Center. One of the world’s finest performing arts centers, the Kauffman Center for the Performing Arts debuted in 2011 as the new home to KC’s acclaimed ballet, opera and symphony companies. 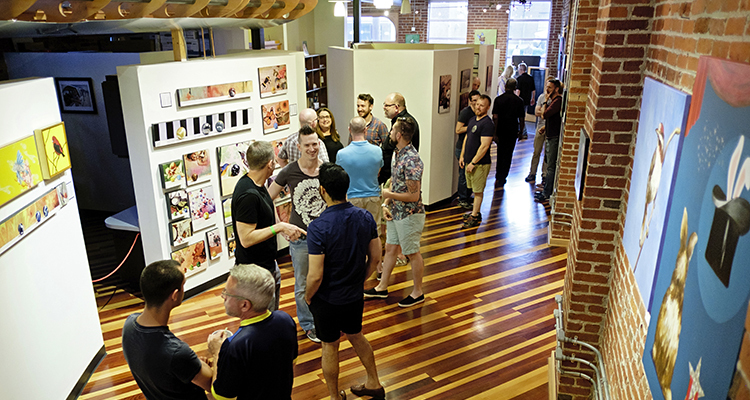 Stroll through the Crossroads Arts District, with more than 65 art galleries it is one of the most concentrated arts neighborhoods in the U.S.
From Walt Disney’s first animation studio to the local founding of Hallmark Cards, Kansas City has a history of inspiring people. And that tradition continues today, thanks to Kansas City’s impressive slate of “cultural-yet-cool attractions”(Essence). Browse the thought-provoking galleries at The Nelson-Atkins Museum of Art. Experience the nation’s only World War I museum. Follow in the footsteps of outlaw Jesse James or America’s 33rd president, Harry S. Truman. The list goes on and on. Saveur called Kansas City “America’s next great culinary destination.” Though famous for sizzling steaks and mouthwatering barbecue, the city offers an incredible range of cuisine. Kansas City is a culinary crossroads of savory barbecue, upscale restaurants, James Beard Award winners and farm-to-table favorites. Allow your shopping bags to overflow as much as the city’s fountains. The 15-block Country Club Plaza is well known for its Spanish architecture, sparkling fountains, restaurants and local retailers. 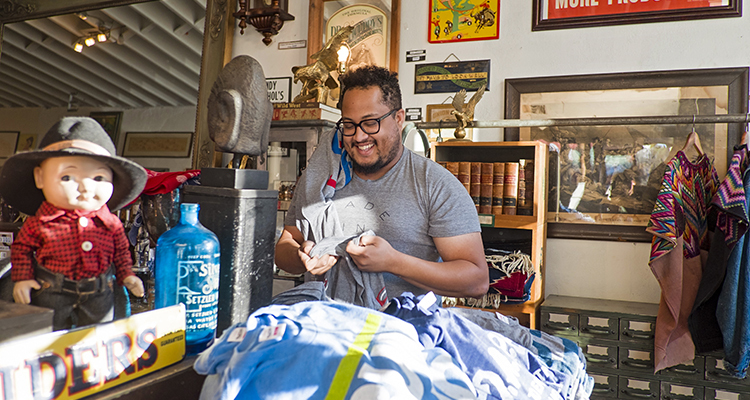 Boutique shops in Westport, big-name favorites at Legends Outlets and antique treasures in the West Bottoms are just a few of the city’s other shopping hotspots. Whether you’re attending a weekend convention or one that lasts all week, Kansas City’s reputation as a friendly city is well known and well deserved. KC’s Midwestern hospitality helps visitors of all kinds feel welcome, making meetings enjoyable for both planners and attendees.